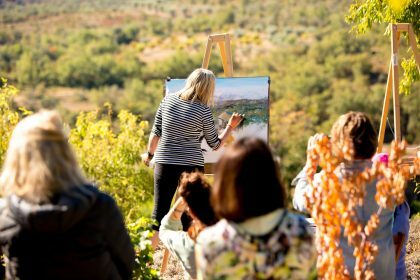 Join Marleen Vermeulen & Marlene Lowden in the foothills of the Spanish Pyrenees for a 12 day immersion with your creative self. Our 4th retreat will be held in September of 2019. Juseu is idyllic. 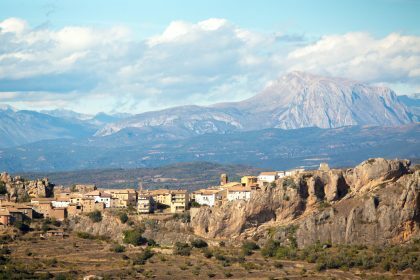 It is natural setting to slow down and appreciate the rich Spanish culture. 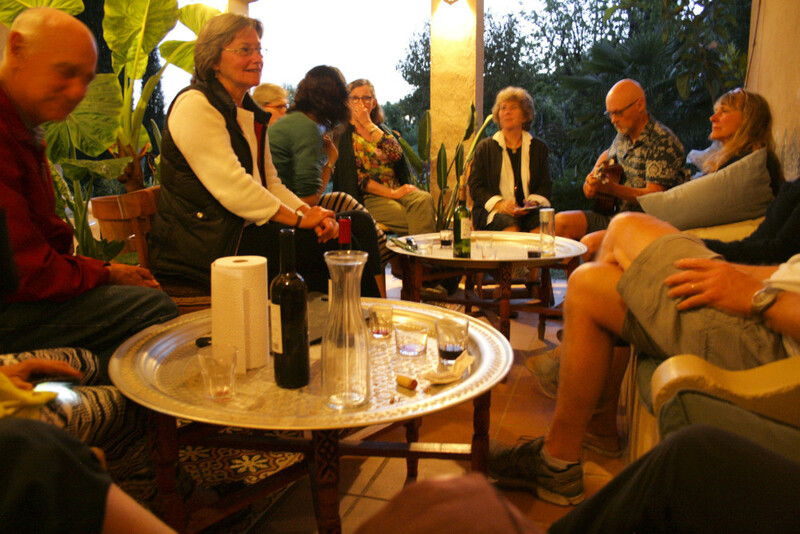 We will embrace the European lifestyle, enjoy siestas, and take time to watch the sunset over the olive groves. 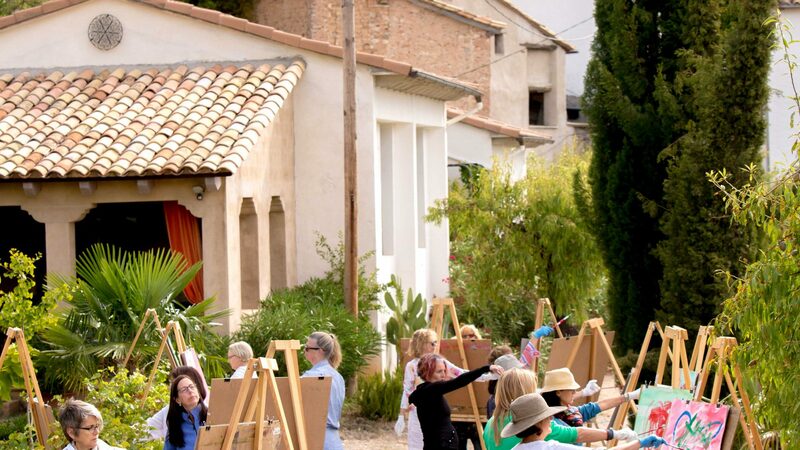 A perfect place to refuel your passion for art & painting. 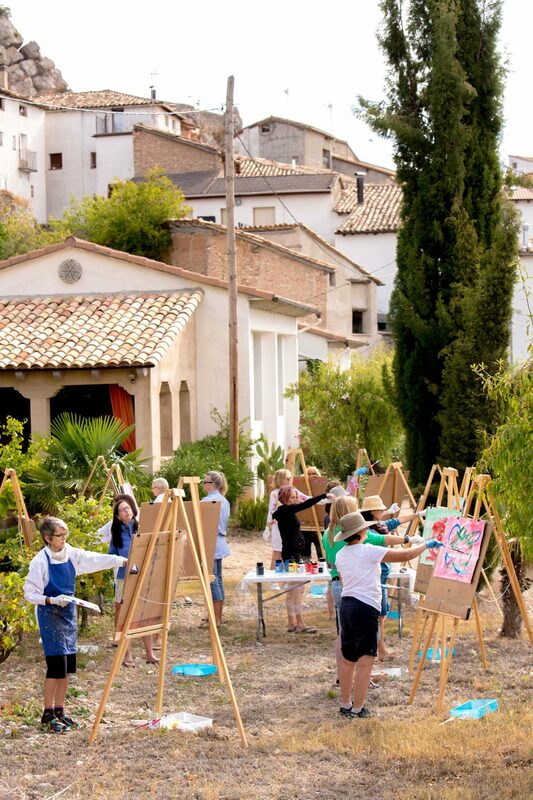 Let’s be inspired by the birthplace of some of the greats – Picasso, Goya, El Greco, Dali, Miro, Varo, Blanchard – the list is long! This was a rare and exceptional experience, a journey of discovery in a warm, caring and joyful environment. The peaceful and beautiful location was perfect for our activities, the entire team served us beyond any reasonable expectations, this has been a precious time in my life. Both artists work in oil and while one representational and one abstract, they share the same truths and approaches to art making. They are delighted to be working together to create this experience for you. They draw from different backgrounds that complement each other. Marleen Vermeulen is a member of the Eleven Equal Artists based on the Sunshine Coast and is represented by the prestigious Kurbatoff Gallery in Vancouver. Marleen is a graduate of The Design Academy in Eindhoven and The Academy of Fine Arts in Utrecht. She is an International Award winning designer. Marleen is a highly respected artist whose work can be found in international collections. Don’t let Marleen’s accolades intimidate you, she is generous with her expertise and her enthusiasm for artists at all stages and of all genres. Marlene Lowden is a graduate of the British Columbia Institute of Technology in Broadcast Television whose career started at the CBC in Vancouver. After many years working in Television, she returned to her love for painting after coming back to her home on the Sunshine Coast. Marlene has much to share about diving deep into your passion a little later in life. She is honoured to be represented by Herold Fine Art in Dallas. Her work can be found in private collections in North America. She has been teaching yoga on the Coast for several years and will be our guide on the retreat. Consider joining us for this incredible journey. This experience changed my life. I truly do cherish every single moment I’ve been given with everyone here. I will miss it. I will though go home now and paint. Our 12 day retreat is perfect for all levels of artist or yogi. It is designed for painters seeking a new perspective, first-time painters looking for inspiration, and all levels in-between. This will be a playful and educational experience. 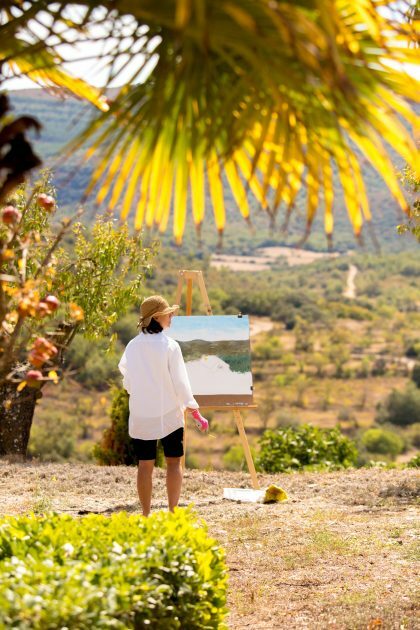 We will offer techniques, but more importantly we will share our perspective on art-making, designed to energize your creative life — on and off the canvas and the mat. Our focus will not be about completion but one of exploration. We will dive into the elements and principles of design like colour theory, value, harmony, expressive mark making, and composition (with plenty of free time to paint and go deep). Throughout our stay, you will experience daily yoga and meditation sessions. You will learn more about the chakra system and its many gifts. You will discover that creativity and yoga are pathways to knowing your true self. We will discover the parallels of each process – how they support the experience of letting go, connecting to our intuition, befriending our inner critics and honouring our individual voice. We will take this journey together with a light-hearted approach, inspiring each other with many “ah-ha” moments in a safe and playful environment. Our mantra will be laughter! 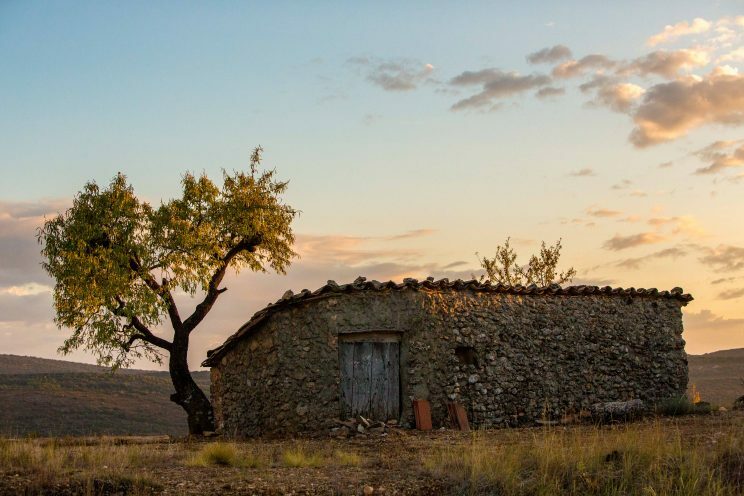 We are thrilled to introduce you to Juseu, Spain. 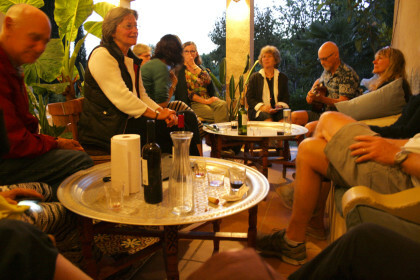 We will be spending our time together in authentic houses in the foothills of the Spanish Pyrenees! 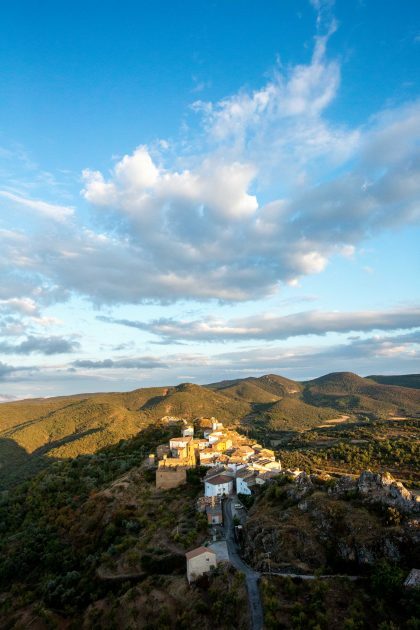 Picture a remote village, steeped in the siesta tradition, with skies so clear your only urge to “stay on task” will be a nightly regime of star gazing! It is our deepest desire that you unplug as much as possible during your stay and connect back into your creativity. Juseu is where unwind naturally just happens. The food was fantastic, meal after meal, inspired, healthy and devoured with much enthusiasm! Accommodation in authentic houses in the quaint village of Juseu. Nourishment. 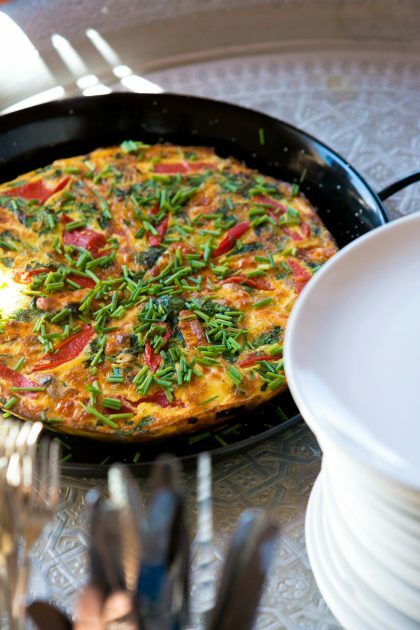 Healthy meals and beverages will be provided throughout your stay. If you have allergies, are gluten-free, or have specific dietary requirements let us know and we’ll take good care of you. Our kitchen will be inspired by the local markets & we will celebrate each day with wine at our evening meals. Daily yoga and guided meditation – learn simple techniques to support your life back home. Art Supplies for the course. 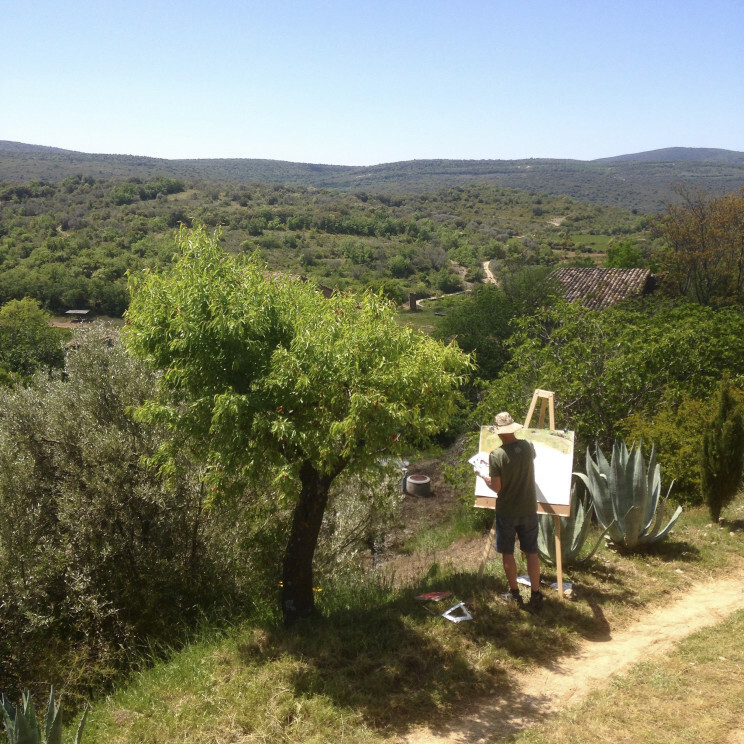 A 1 day break in the middle of our stay to rest, explore or paint more! Community. An opportunity to really connect with like-minded people – far from distraction – build support for your creative endeavours. Momentum. Come away from this retreat feeling rested, fired up, inspired, recharged, and ready to live an art(ful) life. Our tapas style evening meal with wine will conclude & celebrate the day together! An amazing plan of lessons presented for all learning styles, written so clearly, described and discussed and experienced with all art tools and materials provided. We are thrilled to offer this experience and hope you consider joining us!